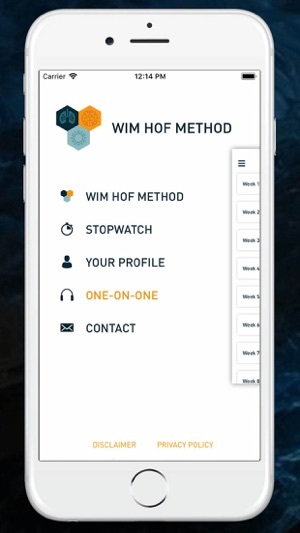 Get a comprehensive introduction to the Wim Hof Method with the official mobile app. Have the Method with you wherever you go for consistent practice & maximum benefits: increased energy, reduced stress levels and a faster recovery. Get strong, happy & healthy! 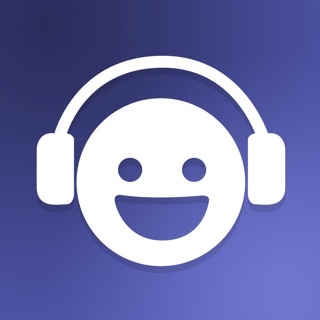 • Small fixes provide a smoother overall app experience. This is one of the more expensive, flat-fee apps out there. While it does work, the functionality is quite limited and the content is light. As other reviewers have mentioned, the info is available for free online, but it is nice to have everything bundled into one place. 1. If you navigate to another app while the timer is running, the timer stops until you go back to the page. 2. I haven't found a way to edit or delete errors. Sometimes I would like to get rid of a round that I accidentally started. 1. It's nice to have the videos as a guide. Sometimes I find myself breathing too fast so having Wim talk me through is a great option. 2. 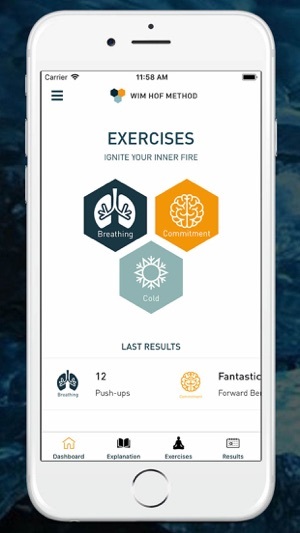 The interface is pretty simple to navigate and is laid out in 3 areas of breath, cold, commitment (yoga stretches). 1. As others have mentioned, it would be nice to have graphs or charts to compare days. As is, I have to click on each day to see how I'm doing. I wouldn't really recommend the app at its current price unless they add more functionality and more content. What I would recommend instead is a basic habit tracker with a timer ,coupled with Wim's free videos online. You'd have the same setup and a habit tracker could also let you track other things than just the 3 within this app. Their email(and only worldwide) customer service team is an auto reply bot, or someone who just doesn’t care to answer your questions/comments. 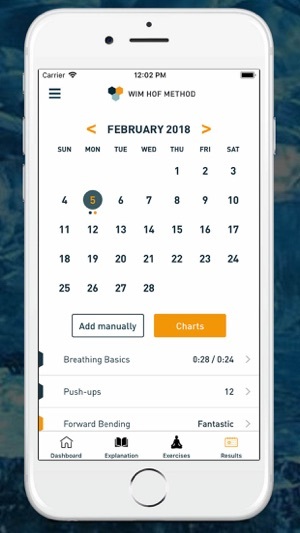 I made a comment on the new app, that it sucked they changed some previously free exercises to pay only. They answered my complaint with a redirection to their FAQ, saying this line of communication wasn’t for my type of inquiry. Even though that is their ONLY obvious line of communication. When I expressed that this reply only further frustrated a loyal WHM methoder they didn’t reply at all. I still use the method, duh. But my opinion of the entire organization has declined significantly. They don’t seem to care about the concerns of their app user’s at all. Prove me wrong WHM. This app is now free and I really love it. Has all the basic videos and explanations plus a stopwatch and tracker for breathing and cold shower! The one-on-one section (10week course member access only) however does not work yet. each time I try to open a week the app crashes. I hope this will work soon! Also I think that all the essentials should work without internet connection to enable exercising in the cold woods while listening to Wim. Still great so far - way to go! !